It’s great to see that so many people are waking up to the huge threats our environment is facing, but some of our efforts to protect the Earth have unintentional side effects that may outweigh the good they do. This unsettling example might have you questioning whether the cost of some eco-friendly initiatives are really worth it: The cup you’ve been reusing for water at home all week has started to develop a taste. Unfortunately, there is a dark side to conserving our beautiful planet. You might have assumed that reusing your glassware would be a great step toward living green, but it turns out this was a devastating misconception because the cup you’ve been refilling this whole week has started giving off a quietly disgusting flavor that can only be described as kind of sour, or faintly like expired ginger. Yes, water is a valuable natural resource that we must work to conserve—but at what cost? 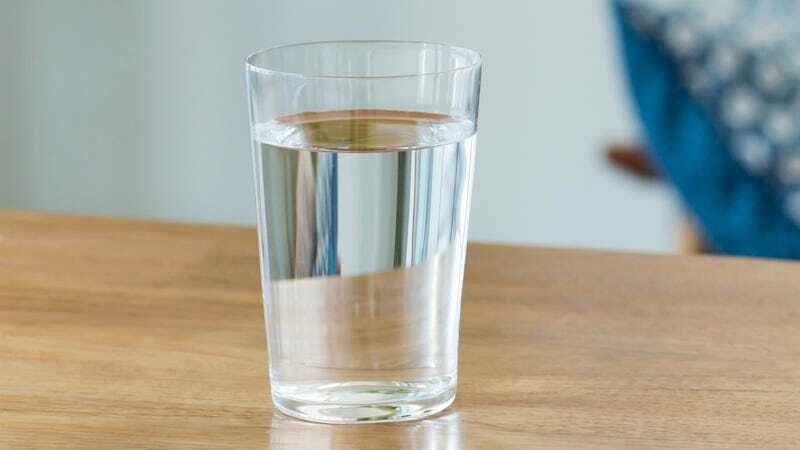 Your glass may be one less thing you’re using excess water to wash, but on the flip side, something about the way it tastes is very, very off. Environmentalism may seem like one of those squeaky-clean causes anyone could get behind, but the way your water glass smells right now is proof positive that going green has its price. Your attempt to be eco-friendly has left you with a cup that taints any water you pour in it with an oily film, forcing you to wonder if your lips are unnaturally dirty, or maybe your dog tongued the glass when you weren’t looking. The cup’s taste is so subtle, yet so off-putting, that if someone were to tell you a ghost had recently burped into it, you would probably believe them. Score one for the Earth...zero for you. Conservation activists won’t tell you about it, but there are serious downsides to being environmentally conscious. No one wants to hear that their environmental efforts have resulted in their water glass hosting its own bitter-tasting ecosystem of bacteria—but that’s the hidden reality of environmental conservation. While you should certainly never give up on protecting the Earth from human wastefulness, it might be time to give this cup a wash because its taste has proved be far too steep a cost to bear for our planet’s sake. Kudos to you for trying.